Indore is located in the western part of Madhya Pradesh. It is the most populated city in the state. This city is the main distributing, commercial and industrial centre of Madhya Pradesh. Few of the major industries in the city are textile, tiles, cement, chemicals, tents, furniture, metalworking and sporting goods. Indore is home to numerous educational institutions like Devi Ahilya University, Holkar science college, Indore Christian College and so on. 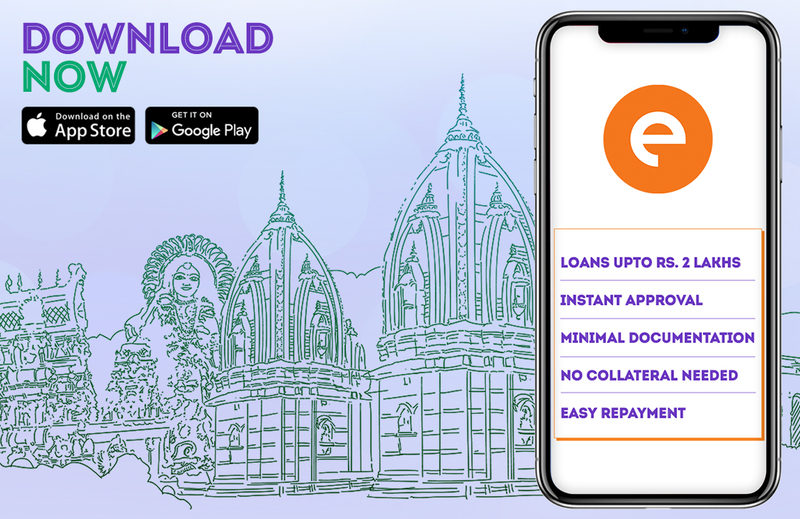 Getting a personal loan in Indore is now accessible due to the cash loan app. A personal loan is capable of fulfilling your emergency and unexpected financial needs. It can help you meet the unplanned events like medical bills, home repair expenses, college fees etc. People also take a personal loan for taking a trip with their loved ones, buying a new car or a new phone, balance transfer and so on. • You can get an instant personal loan from ₹10,000 to ₹1 or ₹2 lakhs. You need to download the cash loan app on your smartphone via Google play store or Apple app store. Register yourself on the app by entering your basic details like name, phone number, bank account information etc. Once you create your profile you will get to see your loan eligibility. Enter the desired loan amount and the duration of the loan. The duration of a personal loan can be 15, 30 or 90 days. You can get a loan ranging from ₹10,000 to ₹1 or ₹2 lakhs from a cash loan app. The app will then ask you to upload the documents from your smartphone. Once you submit all the required documents the app will then review your loan request. Once the personal loan is approved the money will be transferred to your personal savings account. The cash loan app demands for very basic documents, these include your identity proof, address proof, and income proof. As your identity proof, you can submit your aadhar card or passport or driver’s license. For your address proof, you can submit your passport or rental agreement or utility bills like water, electricity or landline. Bank statements and salary slips for last 3 to 6 months are required to avail a personal loan. Apart from these, you will have to upload your pan card and your latest picture. Almost everyone is eligible to get a loan from the cash loan app as long as you are between 23 years to 58 years old. A salaried employee, as well as a self-employed person, can take a personal loan. Your employers should have a registered company. And if you are a business owner, your business should be in existence since past 3 years.